Please note: this is an early show and King Khan will be playing at 8:30pm. This is the show to beat! A real Garage, Rock ’n’ Roll maelstrom with tear-jerking love songs, punkers, improvised riot-starters, dance-floor shakers, sing- along stompers, wild rockers – you name it. They’ll drench you in raw energy and all sorts of hijinks! 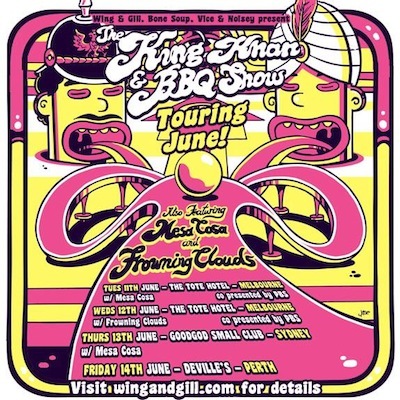 The King Khan & BBQ Show is not to be missed. Come and experience the magic for yourself.